Agricultural machinery and farm products create a large percentage of the stock parts and custom CNC machining that run through Miller Products Company each year. That’s why, when the Iowa Power Farming Show was held in Des Moines recently, our team made sure they were there to stay abreast of all the news in the agriculture industry. This year’s show was well attended, with thousands of agriculture professionals and manufacturers in attendance as well as hundreds of farm implementations, manufacturers, and machinery on display. Kerry Richardson, Miller Products Sales and Marketing Manager went to the show to meet with customers, gather industry insights, and gain better knowledge of the industry. “It’s important to Miller and our customers that, while we supply many parts for the machines on display at the show, we also pay attention to industry insights and upcoming trends,” said Richardson. Even with trade talks and tariff volatility in the Ag and manufacturing markets, the general outlook at the show was positive. The ag machinery industry - especially in short equipment segments - is trending toward annual sales records. New materials like hemp and other crops shows the industry is focused on innovation and adapting to changes in the crop markets here and abroad. Miller continues to commit to the innovation of custom CNC machining as well as development and implementation of the latest material and technologies to meet the demand of an ever-changing market. Whether it’s material alternatives, machinery acquisitions like the new Swiss CNC machine that’s been keeping production and engineering busy, or unique finishes requested by customers, Miller continues to lead the industry in parts and supplies for agriculture and farm equipment. Did you know you can request a quote for Miller Products Company catalog products or custom CNC projects for free by going to our "Request a Quote" page? Simply click on the link at the top of our Web site or click here to get started today! 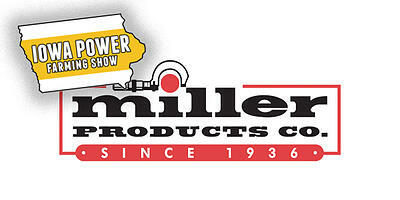 If you have questions or need more information concerning Miller Product Company, it’s CNC machining service or inventory, contact the Miller Sales Department or Kerry Richardson at www.MillerProductsCo.com, email sales@millerproductsco.com, or call 800-245-7034.